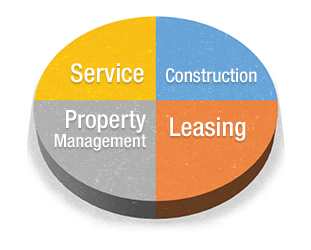 Commercial Leasing, Property Management and Construction | Argus Properties Ltd. Located in Kelowna, BC, Argus Properties believes in responsible and sustainable development in our communities. The Okanagan is known for its stunning beauty, and diverse four season playground encompassing our portfolio of properties: commercial buildings, hotels, modern residential developments and versatile business parks. Argus Properties is poised to be the leader in its industry partnering with the community; through purposeful developments to provide an enduring legacy. Innovation, Quality, Service and People is what defines Argus Properties. We are a full service real estate development company encompassing Construction, Leasing, Property Management and Service. Argus Properties is about personal attention to client needs from the stages of build-to-suit, to leasing space, to building renovations and maintenance. Our commitment by our highly skilled professionals to provide and surpass expectations is what sets us apart from the rest. Building long lasting relationships, and stepping with an assured footing of commitment and quality will be our hallmark into the future.